We are a proud Veteran family with over 41 years of pool construction and renovation experience. We build Swimming Pools to match your Needs & Dreams. 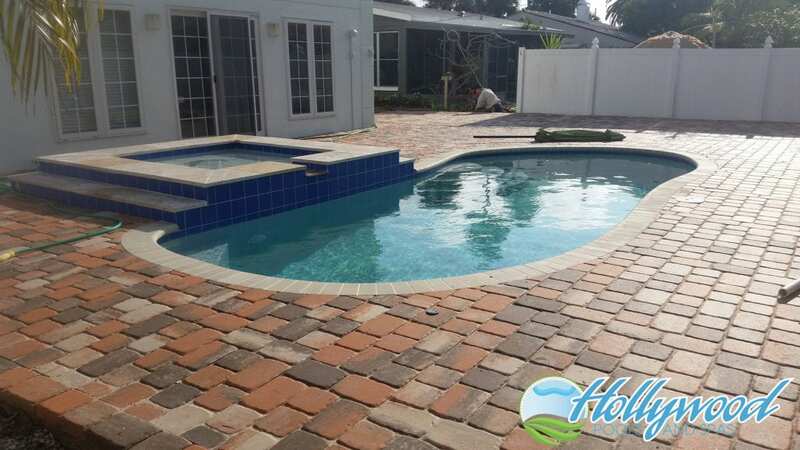 Since 1974, our team has been delivering quality custom built pools to thousands of Floridians. Our custom swimming pool design approach goes beyond considering geography, space, timeline and budget. We treat every project individually while offering a range of options for our clients to choose from. We believe it is the right thing to do. My name is Ron W. Davis, I take great pride in being a father, husband, grandfather, great grandfather, U.S. military veteran, friend, as well as founder and President of Hollywood Pools and Spas You have my commitment of excellence for all of your pool needs, so please accept my invitation to let our team help your dreams become reality. We believe it is the right thing to do as well as offer our expertise during this process. We always stand by our trademark of “QUALITY GUARANTEES SATISFACTION”. Our vast new pool history includes everything from above ground metal pools with liners to drop in fiberglass shells to Gunite and Shockcrete custom designs. We are dedicated to produce the ideal backyard for you and your family. From basic to luxurious, Hollywood Pools and Spas can design a project to fit your budget. We offer expert design solutions and innovative construction techniques to make your dream a reality. When the project starts you will have a dedicated and reliable project manager who is responsive and easy to contact. We will ensure that your experience with us is second to none. 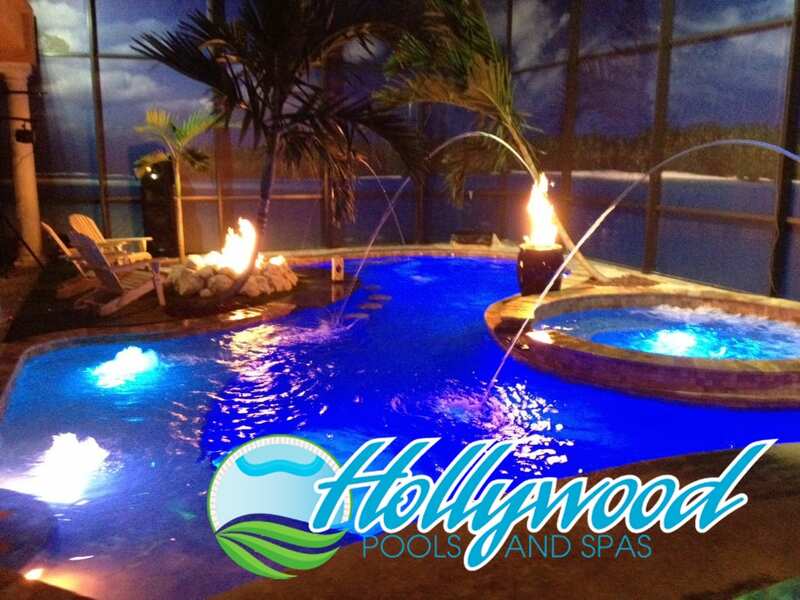 With our guided experience Hollywood Pools and Spas can also help you save up to 90% on your pool energy costs. We also offer many other renovations needs call or email today and let us help give your backyard a fresh look. 727.546.1922 or click to contact us. 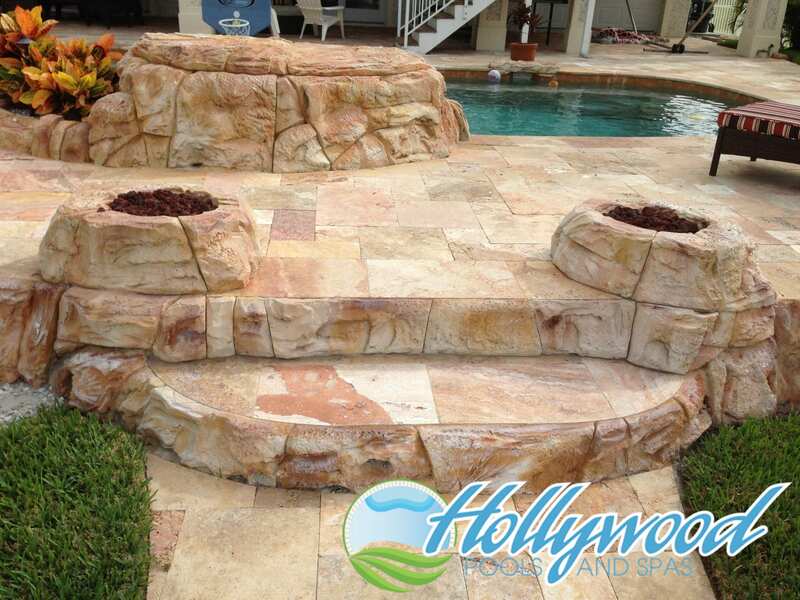 Here at Hollywood Pools and Spas we strive for perfection. Our goal is to be the best commercial swimming pool company in Florida. Hotels and condo projects are our specialties. We are Veteran owned and work well with municipalities and government bodies to provide competitive bids with outstanding quality. Types of projects we do consist of Olympic Pools, Therapy Pools, Handicap Accessible Pools, Splash Parks, Lazy Rivers, Indoor and Outdoor Waterparks, Fountains and Special Water Features, Wading Pools, Kiddie Pools, and Spas. We go above and beyond to ensure quality customer care and service. We only use the world’s leading manufacturers of pool and spa equipment and accessories. We offer the innovative products that make pool and spa ownership simpler, more enjoyable, and more energy efficient than ever before.